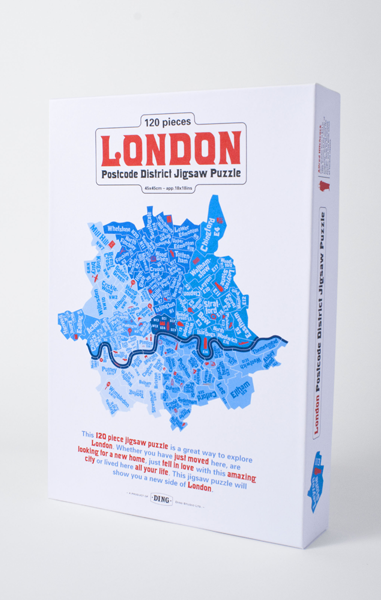 A unique jigsaw puzzle with a custom made die cut based on the postcode districts of London designed and developed by Ding Studio. 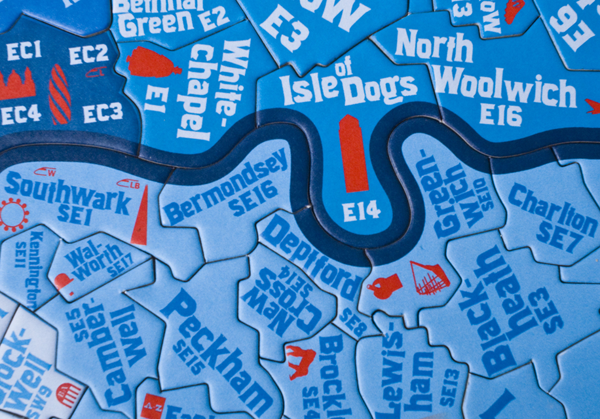 just fell in love with this amazing city or lived here all your life, this jigsaw puzzle will show you a new side of London. 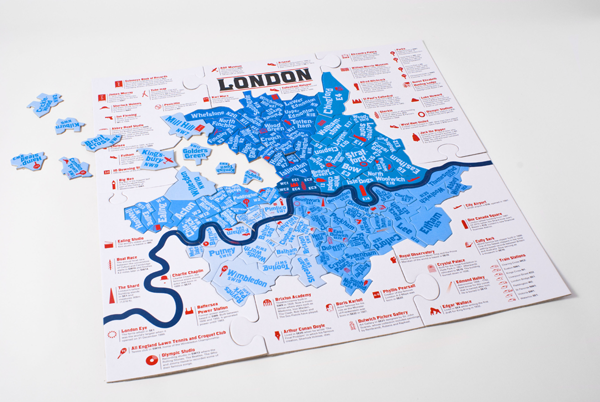 more interesting and broaden the appeal for both Londoners and visitors.